Posted by V the K at 7:53 pm - November 7, 2016. Glenn Beck tells the New Yorker that Barack Obama “made me a better man” and Michelle Obama is just awesome. Also, he’s totally down with #BlackLivesMatter: Pigs in a blanket, fry ’em like bacon, baby! No, Glenn…. “decent, hard-working, patriotic Americans” do not raise up two-bit thugs like Michael Brown, Trayvon Martin, Sylville Smith, and Freddie Gray … much less their POS parents who never gave a damn about them until they were dead and then cashed in on their corpses. “Decent, hard-working Americans” do not burn down neighborhoods and loot stores to “protest” when two-bit thugs get shot by police (or civilians they are the process of robbing or beating to death). The decent, hard-working Americans are in the cars trying to get to work or home to their families… not the a-holes that block freeways to prevent them from getting there. Posted by V the K at 10:26 am - November 7, 2016. Well, tomorrow the voting ends and the unfriendings begin. I hope the polls are wrong, but I fully expect the forces of evil to prevail. I don’t want to watch it happen. 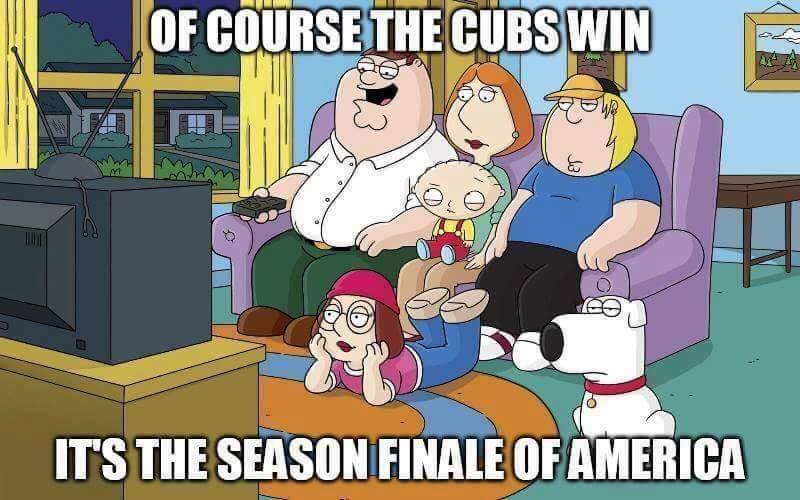 I think I’ll just have to turn off the computers, stay away from the TV. Being dead doesn’t hurt, but dying does. And then, what? I don’t know. Our Government is corrupt. Our citizenry is lazy, ill-informed, and selfish; not all, but a voting majority. Perhaps Hillary… or Trump should miracles happen … will hasten our national dissolution. Bring on the velvet divorce; our differences are irreconcilable. I am more convinced than ever that it’s time for us to become two, or five, or eleven, or fifty countries. We can maintain a military alliance for security purposes, but freedom cannot survive between kakistocracy and idiocracy.